Windows 2000/XP/2003, Windows media player 9 or above is needed. Podcast Podcatcher Windows Software mit grossem integrierter Podcast Datenbank, Audio- & Video-Player, Synchronisation mit Apple iPod, MP3-Player, Handy & PDA. Dynamic OPML plus 30.000+ Podcasts. Download-Manager und vieles mehr. Windows PC at least 600 MHz. Broadband internet connection. Convert all popular video formats to MP4 files for playing on iPod Video. It can convert from MPEG-1, MPEG-2, MPEG-4, WMV, XVid, DivX, FLV, AVI, RM, RMVB, MOV, and more other formats. It supports XVid and H264 codec for MP4 files. DVD to iPod Converter is the easiest-to-use and fastest DVD to iPod converter software for Apple iPod Movie and iPod Video. It can convert almost all kinds of DVD to iPod Movie / iPod Video format. KIKEE iPod to PC Transfer, for transferring songs and videos from your iPod to PC. 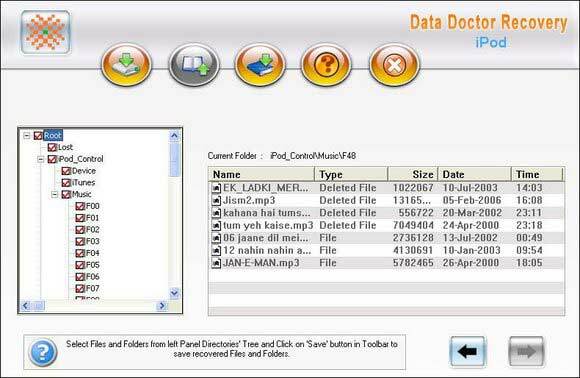 From now on, you can back up your songs/videos from your iPod to your PC without any loss. DigiGenius Video to iPod Converter is a professional video to iPod converter software. Its standards-based encoding algorithm ensures that the videos you create have best quality, and video conversion has never been easier or more cost-effective.